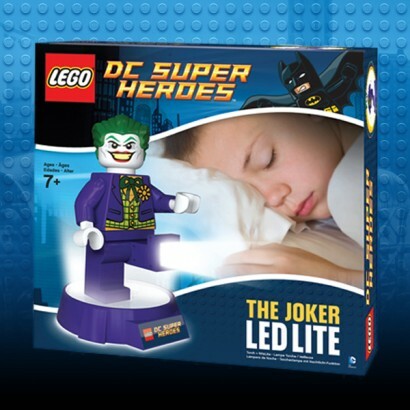 Lego have added super bright LED light to The Joker's arsenal of superpowers, creating the Lego Joker Nightlight. Press the button on his stomach to illuminate his feet with super-bright LED's. 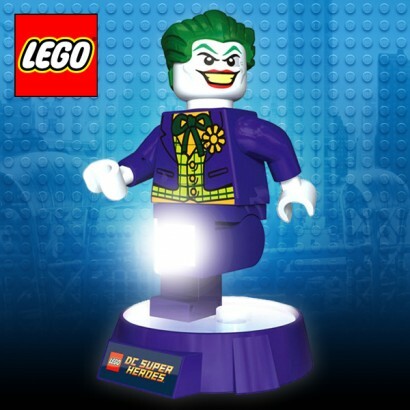 The Joker can be used as a handheld torch, or placed on his base to create an awesome lamp and nightlight, complete with 30 minute auto shut-off function.